Non-combustible incense are basically powdered, paste or granular mixture of aromatic herbs and spices in their raw form. They arenot shaped into any particular form and hence is not suitable for direct burning. Unlike direct burning incense, indirect burning incense needs an external source of heat or flame for combustion. Evidently, the duration of combustion of these type of incense depends upon the shape and texture of the material being used. Finer powders are burnt more quickly while coarsely ground or pastes keep burning for a relatively longer duration due to lesser surface area. Traditionally they were burnt in charcoal or embers but nowadays specially designed electronic steel plates are available. Non-combustible incense can be prepared just by mixing the required amount of powdered raw materials. Sometimes these powdered mixtures are made into a paste with the help of a binder, cut into desired shapes and then dried to be used. Whole : The incense material is burned directly in its raw unprocessed form on top of coal embers. This is the most primordial way of burning incense. Powdered or granulated : These type of incense are prepared simply by mixing the required amount of powdered raw materials. Sometimes these powdered mixtures are made into a paste with the help of a binder, cut into desired shapes or granules and then dried to be used. they burn for a short period of time but provides an intense aroma. 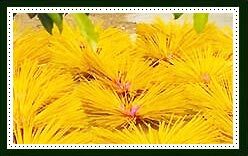 Paste : Paste incense are predominantly used by the Arabs who call it Bukhoor. The powdered raw mixture is made into a paste using a non-combustible adhesive binder and made into small balls, pellets or cakes. Fill the heatpoof incense bowl or censer with sand or ash. It is better to form a conical shape with the medium because it will facilitate proper air flow around the charcoal allowing it to burn better. Heat the charcoal using a pair of tongs and place it on top of the sand/ash cone. If your charcoal has a concave indentation make sure you place that side facing upwards. Fan the charcoal tablet to let it glow more and also blow of the ash. Now that everything is ready, sprinkle a pinch of the incense directly on the charcoal. Make sure you do not sprinkle too much because that may block the airflow causing the charcoal to smother and you will have to start all over again. Always store your cones in a cool dry place. If they pick up too much moisture they will not burn properly and if they get too dry they might pulverize. Almost all coil, cone and rope incense comes with special stands/burner. If you're not sure, ask at the store where you purchase your incense. Flat incense coils are extremely fragile extra care t have to be taken while handling them. 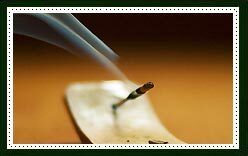 Comprehend that burning incense calls for cautiousness and carefulness as it may cause burns, blisters and even fire hazards. In indirect burning methods, make sure you place your burner on a heat resistant surface as the burner will obviously absorb heat from the flaming charcoal. A very hot burner can damage or discolor wooden surfaces and shatter glass table tops. Make sure the ash falls on a fireproof surface as it may even cause fire hazard. Place your incense away from drapes, lampshades and any flammable material. It is always advisable to burn your incense in a fresh, ventilated area. Make sure that all the spent incense material are completely extinguished before disposing it off to the waste paper basket. It is always advisable to check with your physician if you are asthmatic or have any respiratory problems or even if you are pregnant.